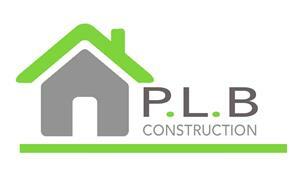 PLB Construction - Builder, Plasterer based in Billericay, Essex. P.L.B. Construction Ltd has established itself over the last 20 years. We are specialists in home extensions from design and planning, garage conversions, new kitchen installations, roofing, to full house refurbishments as well as all types of building works. We pride ourselves on giving the customer exactly what they want and the home they have always dreamed of, at a price they can afford. Having many years of experience has taught us that a good quality finish is crucial and that is why we guarantee to leave you with the perfect job every time. All our work is insured and guaranteed and we endeavour to leave you with the perfect finish whether it be a plastered wall, a new driveway or a complete home extension. All tradesmen work directly for our company to ensure that our clients receive the best possible finish and by using only the best tradesman we can guarantee you will be more that satisfied. Please feel free to contact us for a free no obligation quotation, where we are more than happy to come and take a look at your property, give some ideas of works that can be carried out and help you make your dream home a reality.